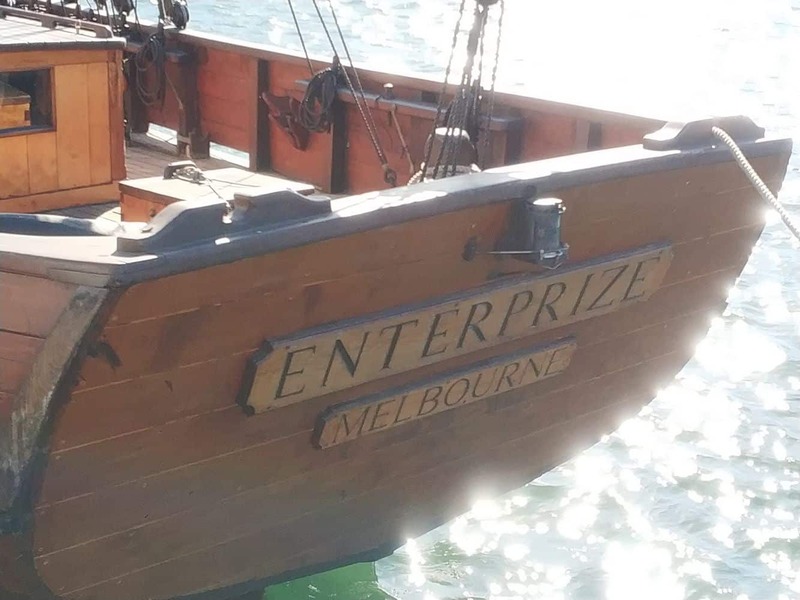 If you are interested in sailing, then come and check out a replica of Melbourne’s very first ship known as the Enterprise. 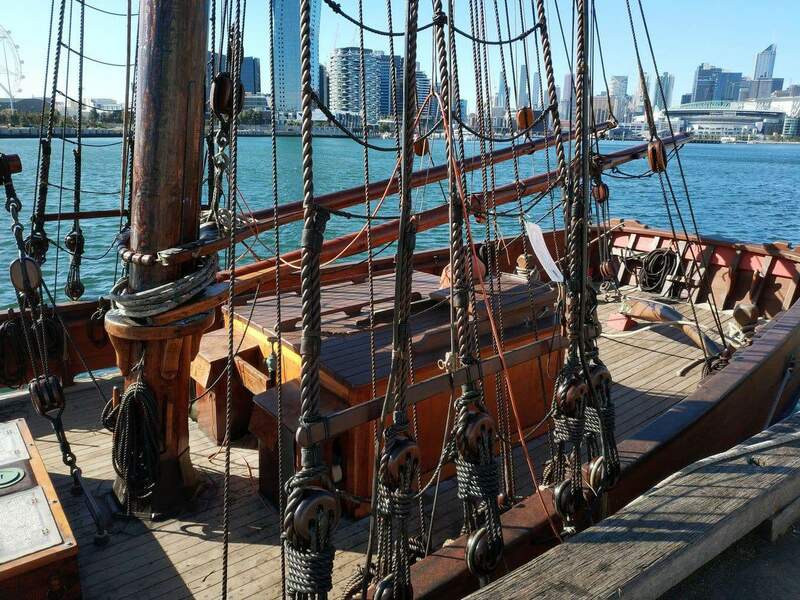 The wooden replica of the original tall ship Enterprize is a major tourist attraction at Docklands as it offers visitors a unique experience sailing across the waters of the picturesque Port Phillip Bay. 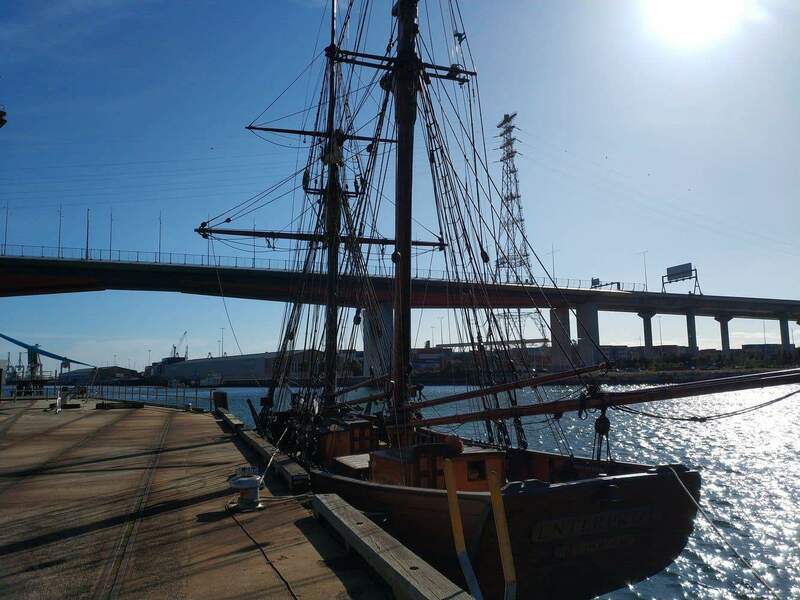 The Enterprise available for lease, from a one hour tour, evening tours, or a full day bay tour. 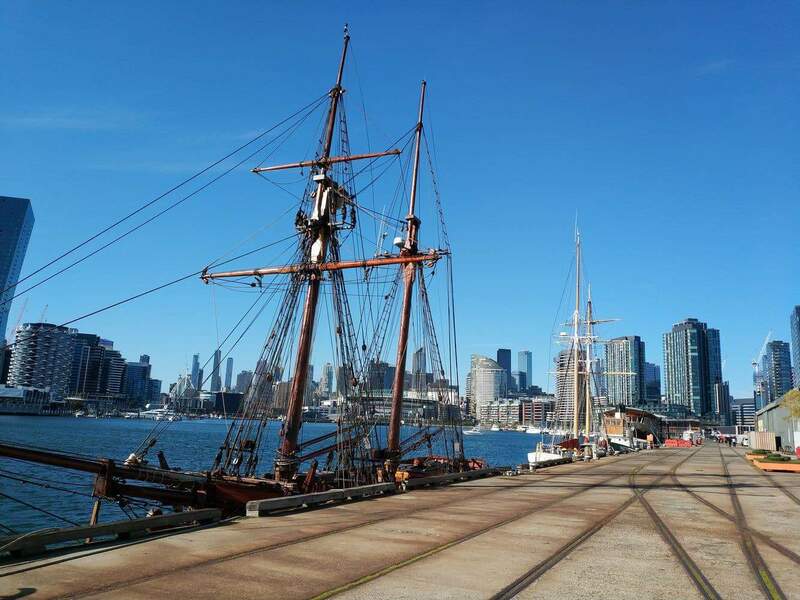 The one hour tours depart at 11am, 12.30pm and 2.30pm from Williamstown and travels down the coast to Rye. 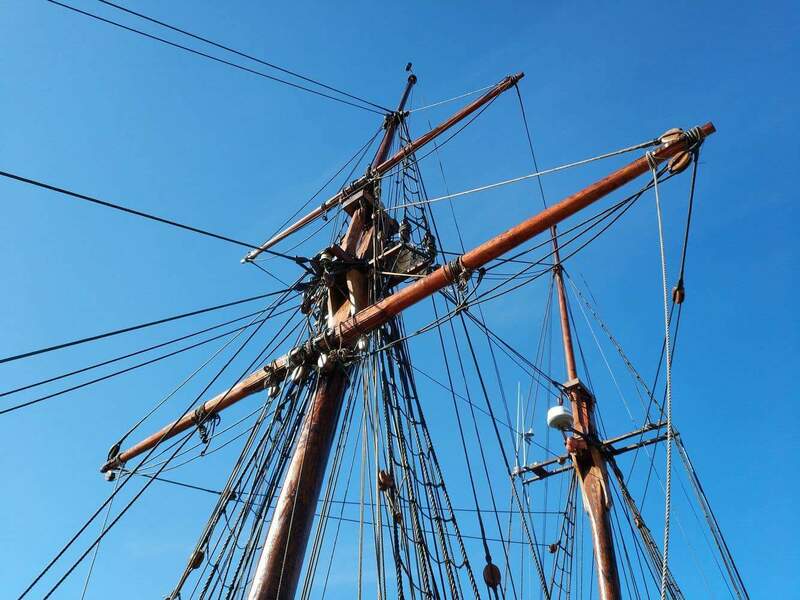 The evening tours follow a similar route and depart the pier at 6.00pm and again at 8.00pm. You are welcome to bring your own picnic dinner to the evening tour, so pack a basket for a unique dining experience. 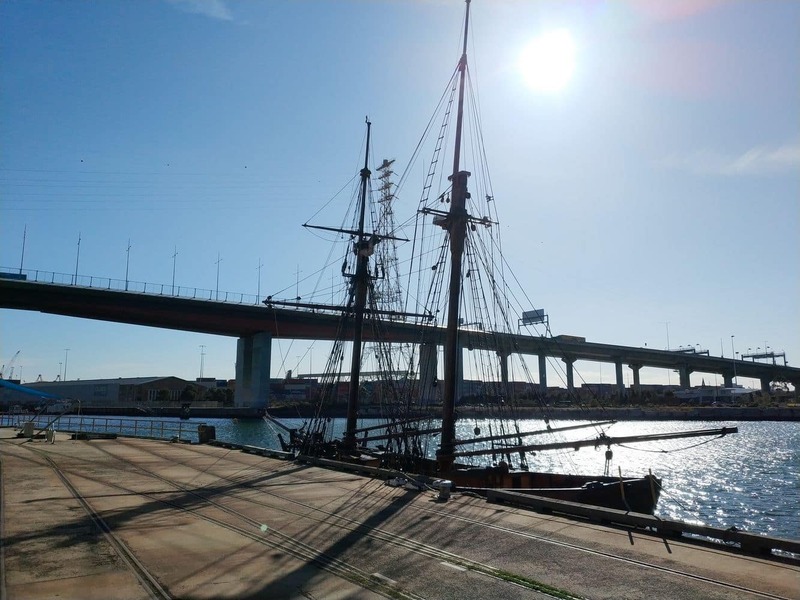 When leased for the full day charters, the ship can cater for up to 45 visitors, while overnight charters allow up to 10 visitors. 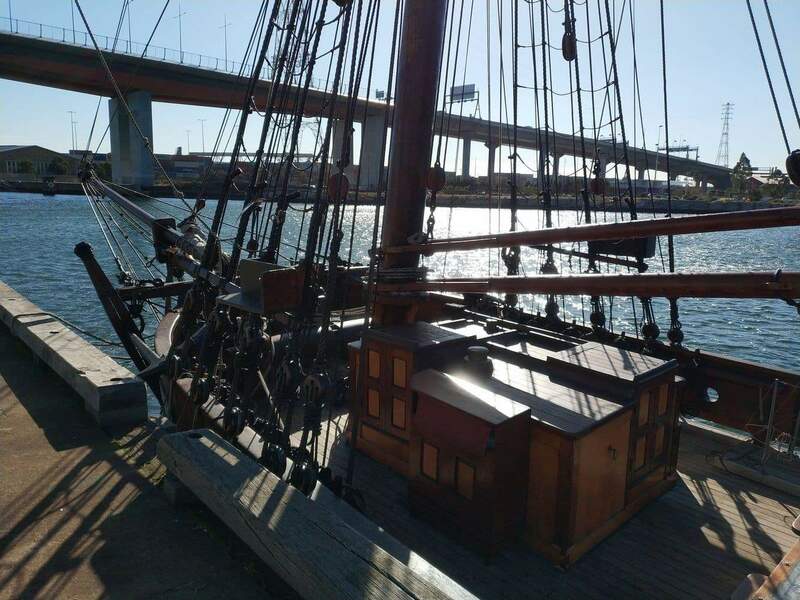 Those interested in hiring the ship for a private charter much make a prior booking well in advance. Those taking a tour on the Enterprize Ship can also get involved by working alongside the ship crew, or watch as the crew gets the job done. 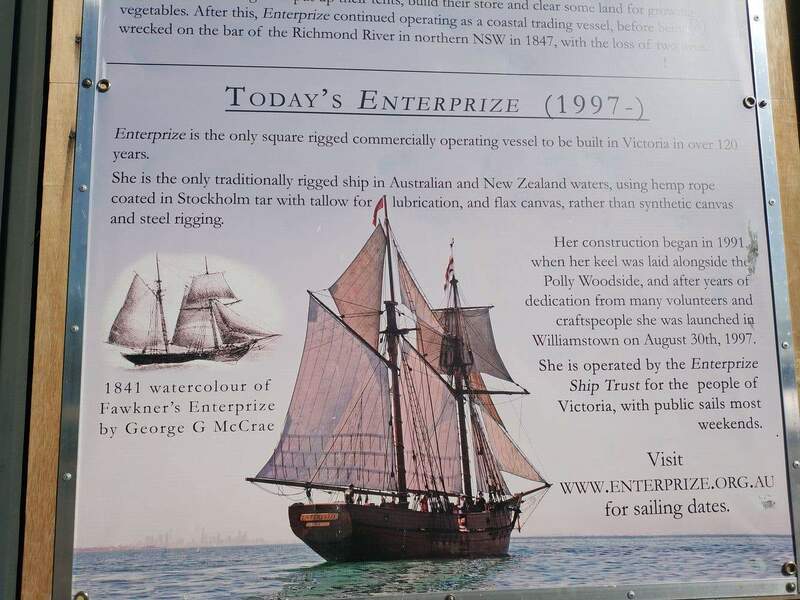 Volunteer staff working on the Enterprise Ship will be only too happy to share their knowledge of the Enterprize’s history as well as the organization’s history. 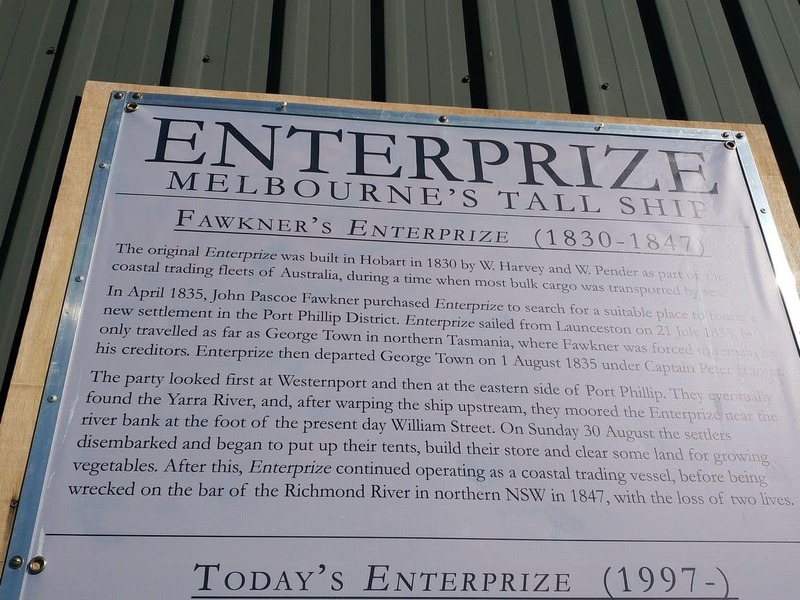 The Enterprize Ship is located down on Docklands in Melbourne. 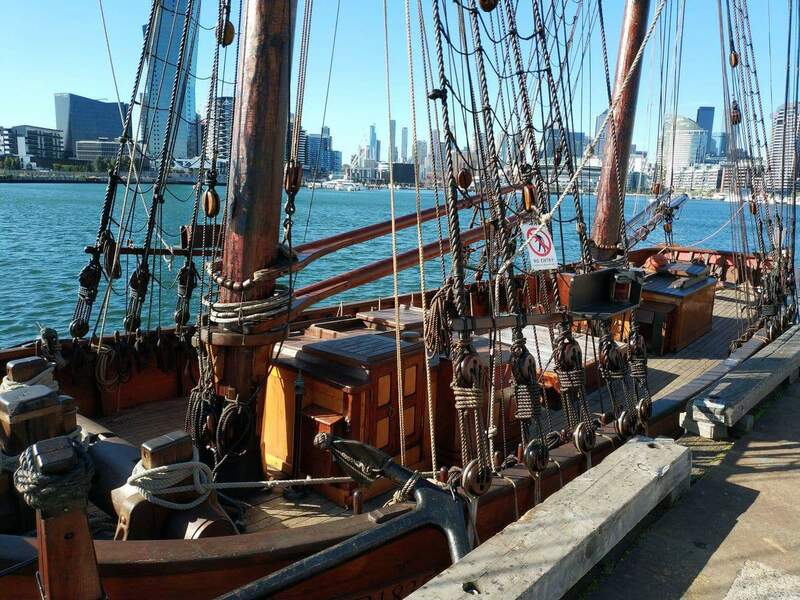 Enterprize can pick up and drop off private charters at Melbourne City Marina which is located off Docklands Drive. 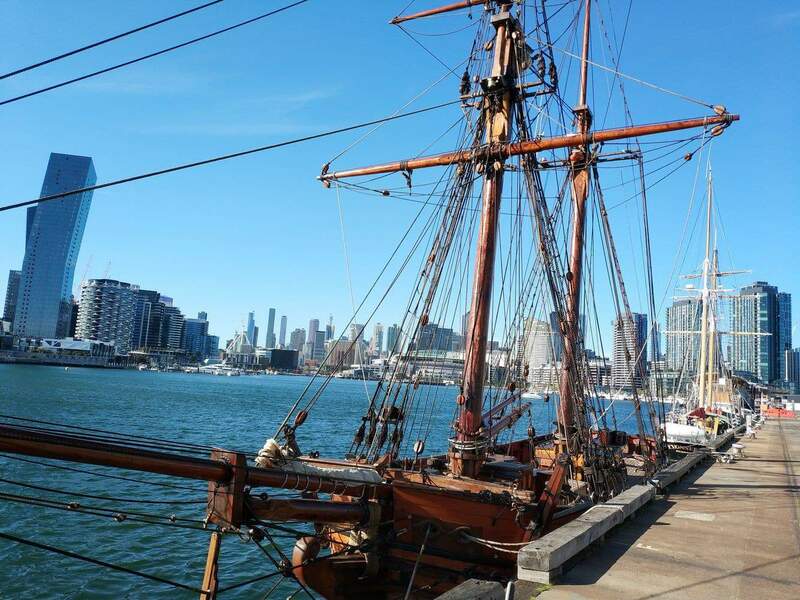 Catch a tram down to Docklands and get off at stop D11, Waterfront City/Docklands Drive. Prices vary depending on tour selected.